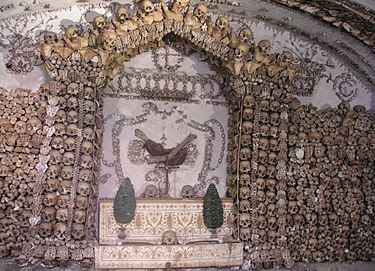 LINK: The Chapel "Cola", known as the Church of the Dead, houses inside the famous "Cemetery of mummies". 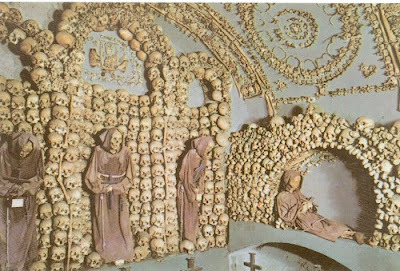 At the beginning of the nineteenth century , after the promulgation of the ' Edict of Saint Cloud , the Brotherhood of the Good Death decided to exhibit in a converted room behind the altar a few human bodies exhumed from graves of the church, found unexpectedly subject to a phenomenon of mummification natural. The building is from 1380. The remarkable altarpiece of the one altar, depicting the beheading of John the Baptist , probably by Giustino Episcopi (1560). 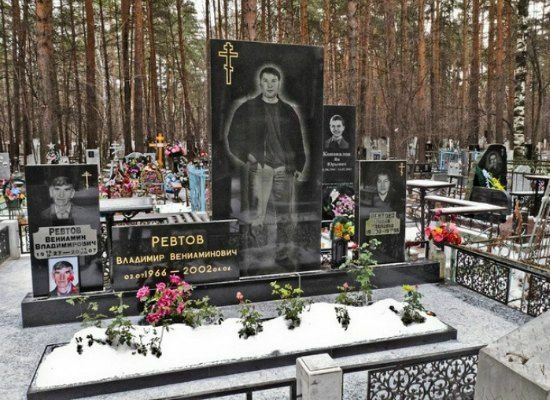 Two enemy Russian mafia groups buried their casualties in two cemeteries; one in the north of the city, one in the west. 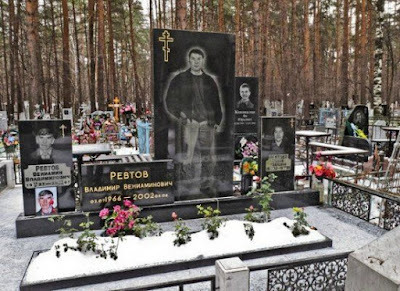 The expensive graves with full-length portraits stick out in the graveyard. 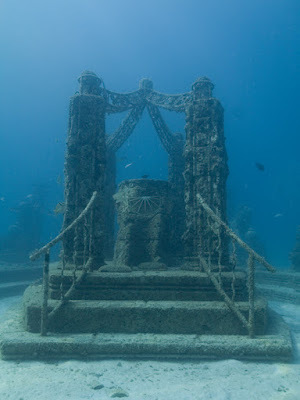 Just 3-1/4 miles off Key Biscayne, this memorial reef cemetery is an unusual idea. Sixteen acres of sea floor is where a man-made reef was constructed. Cremated remains help to build and encourage a coral population in the area. 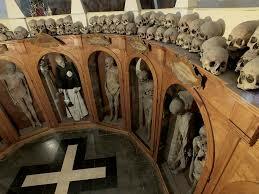 Crypts below a church hold 3700 remains believed to be Capuchin friars buried by the order. It is considered an ongoing memorial to remind us of the fragility of life. and now, I'm still thirsty. 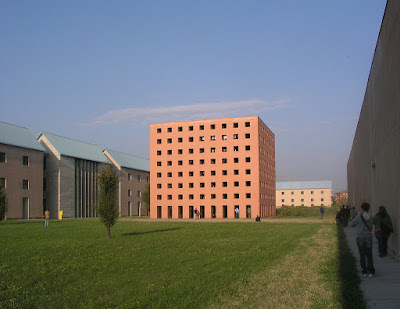 Leave a little wine here." 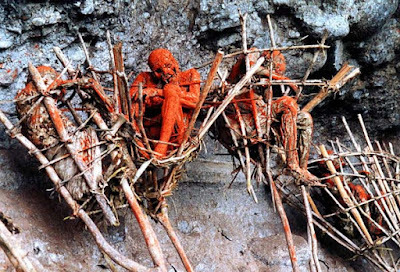 In a very remote and primitive part of New Guinea, a tribe does not like to say goodbye to their relatives. Instead, they rub the bodies in red clay and smoke them, placing them up on the stands on the cliff side to continue to be there and watch over them. 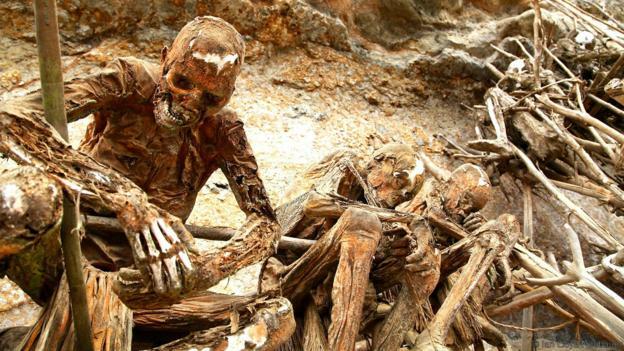 The bodies are in various states of decay. 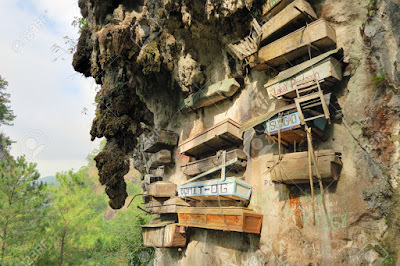 China, Indonesia and the Phillipines all have practices in certain regions of hanging coffins on a cliff side. They believe it is blessing the soul to eternity and protecting from predators. They can be placed on rock projections, on beams, or hung by rope. 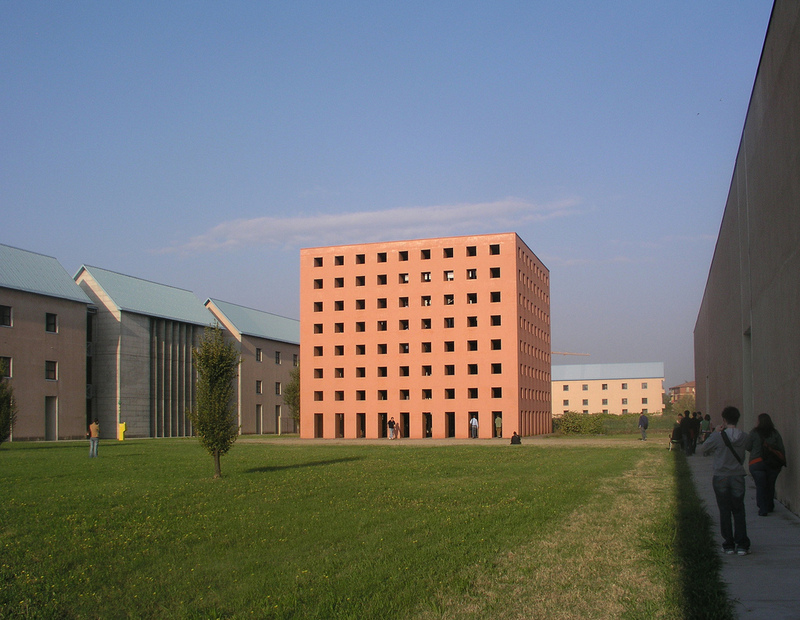 Designed by Aldo Rossi, this ossuary is considered to be done in postmodern style. 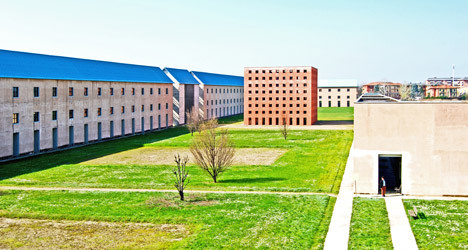 The entire cemetery is designed with a very stark presence. 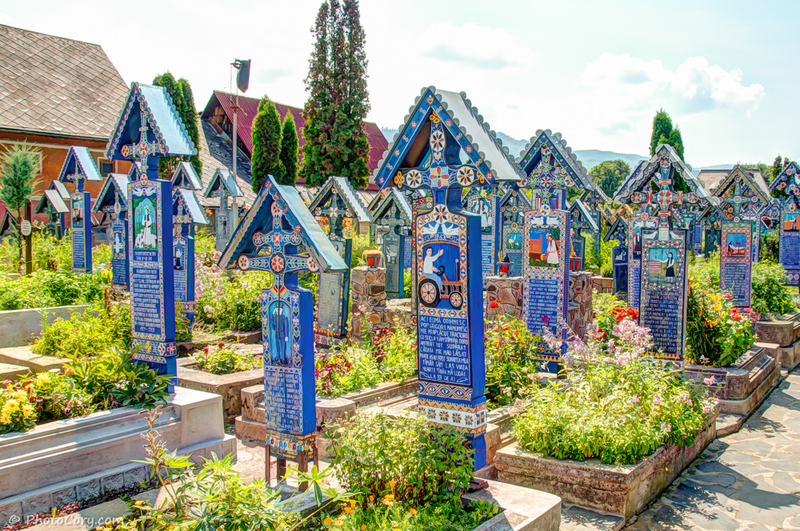 Memorials for the dead around the world represent cultures and communities, tribes, clans, and religious sects. Ultimately they express our hope for the afterlife and our memorial to our missing loved ones. 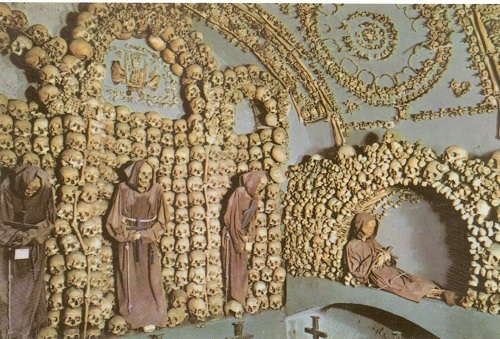 But, some cemeteries decide to take this to a new level of interest, peculiar, and sometimes downright unsettling.